When it comes to home ownership, everyone wishes they could have a set of their very own keys sooner rather than later. Unfortunately, bad credit can often hold you back from achieving this goal. This is why so many people are interested in finding bad credit home loans in Chicago. If you’re ready to make the windy city your permanent home, you should know what resources are available to help you purchase a house. Lenders first interact with your financing application by examining your credit score. This three-digit number tells them most of the information they need to know about your financial status. Your payment history, credit usage, and even the length of time you’ve had your accounts factors into the overall number lenders see with your FICO credit score. Get Pre Qualified for a Low Credit Home Loan in Chicago Today – Click Here. It is a quick way to tell how financially healthy you are and how well they might expect you to pay your mortgage bill on a monthly basis. Rebuilding your credit should be the first step before you start looking for Chicago loans for bad credit. Boosting your overall score gives you the ability to qualify for better financing and more favorable terms. It might take you a little while to improve your score, but it could pay huge dividends over the course of a thirty-year fixed-rate loan. However, you will want to know about some of the helpful programs available if you decide not to wait. 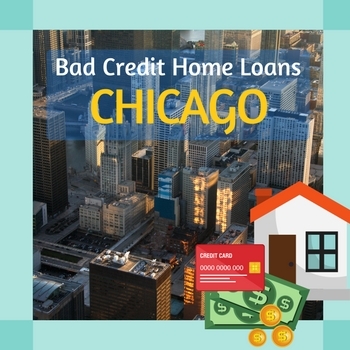 Take a look at these bad credit home loans for Chicago to decide which one is right for you and if you qualify for any of the government programs. What Government Programs are Available for Chicago Loans for Bad Credit? The local government for the six counties of Chicago has a few programs in place to help make homeownership more likely for families. Some of these programs offer down payment assistance while others are educational resources to help you improve your credit and qualify for a loan. Under this new local program, potential home buyers might be eligible to receive five percent of the total loan amount based on their overall income. The funds can be used to pay for the down payment or the closing costs. First-time buyers are required to complete a homeownership education course prior to receiving the funds. Applications are subject to maximum income limits and will be processed on a first-come first-serve basis. Low-income families who qualify for public housing and housing choice vouchers might be afforded an opportunity for homeownership under the Chicago Choose to Own program. This allows them to pay a portion of a mortgage using their rental voucher each month. You may do this for up to fifteen years to help make your dreams of homeownership into a reality. Some families are able to move off of the vouchers after a period of time. Disabled individuals or the elderly may use their vouchers to pay a portion of their mortgage for up to thirty years. Individuals who are searching for bad credit home loans in Cook County will want to check out the first-time home buyers program that offers educational resources. You can find more information about how to obtain a bad credit home loan in Chicago by attending one of these seminars on the fourth Tuesday of the month. This is provided through the West Cook Homeownership Center. You may also apply for the 1st Home Illinois loan that features a thirty-year fixed rate mortgage and a $7,500 down payment assistance grant. It is tailored specifically to first time home buyers, veterans, and those who have not owned a house in the last three years. If you are searching for bad credit home loans in Lake County, you do have one additional option for assistance. Many prospective buyers will want to learn more about the American Dream Down Payment Initiative (ADDI). This program provides down payment assistance and closing costs to eligible homeowners. In order to qualify, you must be a first-time home buyer, have not owned a home in the last three years, and must make less than 80 percent of the area’s median income. There is also the Lake County Affordable Housing Program you may take part in. They offer some funds to help with acquiring a property, rehabilitating an older property, and aiding homeowners in the purchase process. Homeowners who are interested in living in DuPage County have several additional options available to them. One of the primary things that residents of this county can make use of is the ADDI program. In this county, you can also gain additional education through the H.O.M.E. (Home. Ownership. Money. Education.) program. They offer a wide variety of classes and workshops to help make your homeownership much simpler. 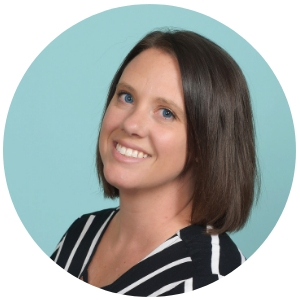 Kane County used to offer the Choose Aurora program that provided up to $5,000 in down payment assistance to low- to moderate-income families buying within city limits. However, this program is no longer accepting current applications. Currently, you may only use one of the state-sponsored bad credit home loans in Kane County that were listed above. Are you interested in getting a loan and down payment assistance? You can qualify for the 1st Home Illinois loan for Kane County residents. This program is suited for first-time home buyers, people who have not owned a home in three years, and veterans. You will receive your loan and a $7,500 down payment assistance grant. Have you owned a home in the last three years? If the answer is no, then you might want to look at the 1st Home Illinois fixed-rate thirty-year mortgage with a $7,500 down payment assistance. This could be a great product for someone who meets the criteria and is a resident of Will County. You may want to look into the program if you wanted to find bad credit home loans specifically for Will County. McHenry County has its own program to help provide down payment assistance for home buyers. They cater to low-income families through the Corporation for Affordable Homes of McHenry County (CAHMCO). This could give you the financial push you need to make homeownership a reality with bad credit home loans in McHenry County. What Federal Programs are Available for Bad Credit Home Loans in Chicago? 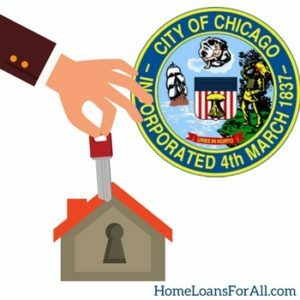 In addition to all of the local elements that are found for bad credit home loans in Chicago, the federal government offers three excellent resources to help you make homeownership a reality. If you want Chicago loans for bad credit, you will definitely want to know these three programs. 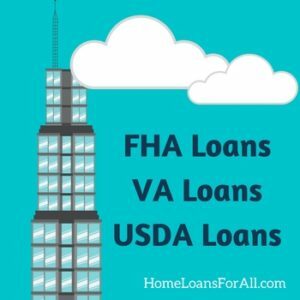 The FHA loan in Illinois is guaranteed by the Federal Housing Administration, even though it is ultimately issued by a private lender. The backing of the federal government allows the bank to issue loans to people who might not have been ideal candidates for a conventional mortgage product. They can also offer much more favorable terms. Most homeowners like the FHA loan because it only requires a 3.5 percent down payment with a credit score of 580 or higher. If you need really bad credit home loans in Chicago, you can still qualify with a credit score between 500 and 579. In this range, you will need more compensating factors such as a larger ten percent down payment. The VA loan program is designed specifically for eligible veterans and service members who want to purchase their own home. It is partially backed by the Department of Veterans Affairs but is ultimately issued by a private lender. There is no minimum credit score required to obtain a VA loan for bad credit, but each lender will set their own guidelines about what is acceptable. The best part of the VA loan program is the potential savings that it can offer. For example, the VA loan does not require a down payment. It also allows homeowners to waive their mortgage insurance. Do you want bad credit home loans in Chicago but you prefer not to live in the heart of the city? If you love the idea of living in the country, then a USDA loan might be ideal for your lifestyle. These mortgages are sponsored by the United States Department of Agriculture for eligible properties located in rural areas. There is no minimum credit score required for the USDA loan, but it may be subject to underwriting. This allows a real person to examine your file closely and make a determination regarding your eligibility for a particular loan program. They can take into account any extenuating circumstances that might have contributed to your low credit score such as a medical condition. 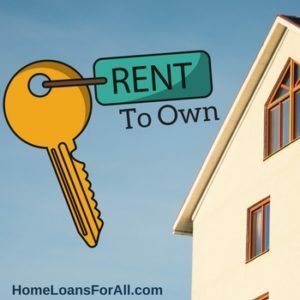 What is a Rent to Own? Sometimes, you might not be quite ready to receive one of the bad credit home loans in Chicago. Your credit score and finances may still need some work before they are in shape to purchase a new home. While you wait, you might want to consider searching for rent to own properties that allow you to start making a home for yourself right away. The property owner will often have you pay an options fee when you sign the lease. This sum of money functions as a type of down payment that goes toward the principal balance of the property if you decide to buy it when the lease ends. During your lease, a portion of your rent money will go toward the balance on your loan each month. This is a sort of built-in savings system that forces you to set money aside for your home. At the end of the lease, you have the option to obtain your own financing from a lender and purchase the property directly. It’s important that you take plenty of time to work on your credit score during your lease so that you can qualify for the best financing when you attempt to make your purchase. Another way to boost your credit score quickly is to have a family member or close friend cosign on your mortgage. This allows lenders to take their credit score into account when they review your financing application. For some families, this simple boost might be all they need to qualify for one of these bad credit home loans in Chicago. You should keep in mind that any time you miss payments on the mortgage, it will reflect on your cosigner’s credit score. 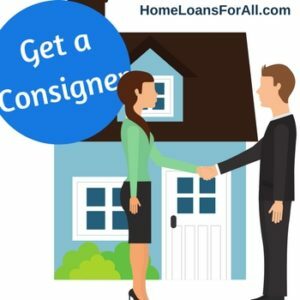 If you neglect to make your payments and the home moves into foreclosure, the lender has the right to seek repayment from your cosigner as well. 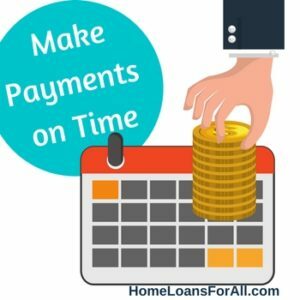 Unless you are positive that you can make each payment on time every month, you might not want to pursue this method for your next home purchase. The best thing you can do is to improve your credit score instead of searching for bad credit home loans in Chicago. Boosting your overall credit score doesn’t have to be challenging, but it will take you a lot of time. Your score will be primarily affected by the small things you do on a daily basis. The biggest thing you can do is to make all of your payments on time. Make a calendar for yourself or enroll in autopay with all of your utility companies. These are simple ways for you to ensure that your credit card companies, lenders, and utility company all get paid on time. After all, your payment history does make up roughly 35 percent of your overall FICO credit score. Alternatively, paying down your debt will also make a significant difference in your overall credit score. This can help to lower your debt to income ratio, as well as improve your credit. Most experts agree that you shouldn’t use more than thirty percent of your available credit. Many people max out their credit cards quickly once they receive them, but this can do a lot of harm to your credit score. Work on eliminating some of your pesky credit card debt to improve your credit score and make you more appealing to lenders. When it comes to getting bad credit home loans in Chicago, there are a ton of resources and options available. You should do the research to figure out which ones are ideal for you. However, the best solution will always be to improve your credit score before you decide to move forward on completing a loan. This allows you to receive the most favorable terms and can save you thousands of dollars.